Southern Rockies Nature Blog: "Foraging Patterns"
Love it. 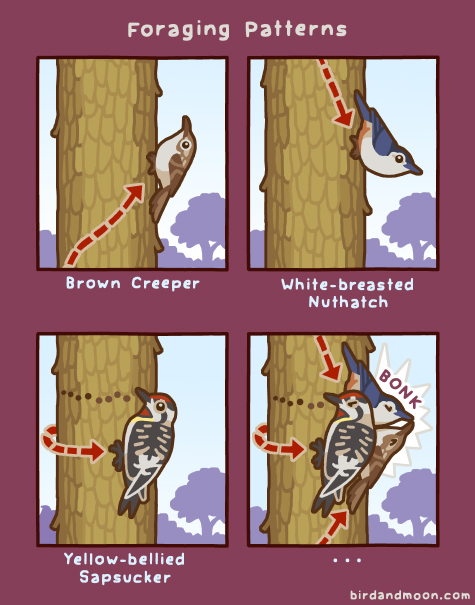 Pop over to Bird and Moon — Science and Nature Cartoons for more. Thanks for turning me on to this. It's awesome. Think I'll get a bird comic on a t-shirt!